German Federal Government/Jesco Denzel via Associated PressThis instantly iconic photo summed up the results of the G7 summit. The G7 summit took place over two days in Charlevoix, Quebec. The summit ended in disarray: US President Donald Trump said the US would not endorse the joint statement from the summit. 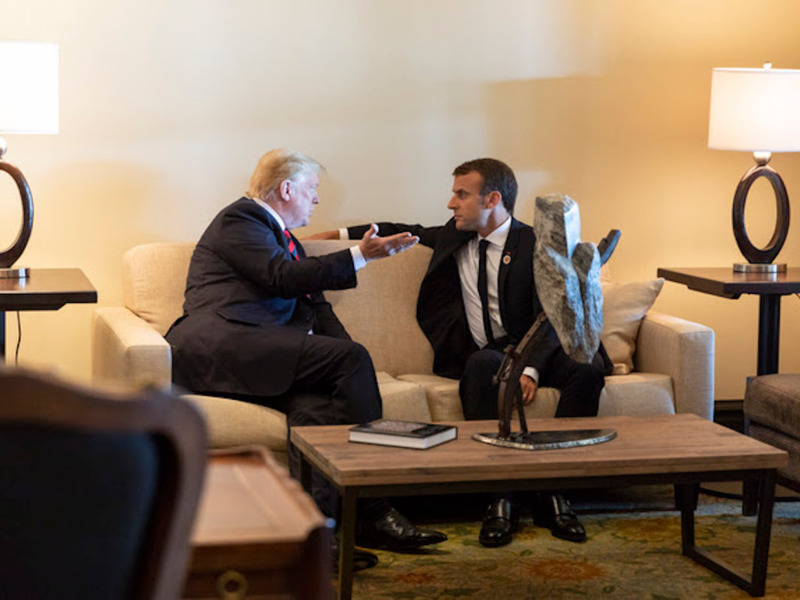 Photographers captured images of the tension between Trump and other world leaders, including one in which French President Emmanuel Macron gripped Trump’s hand so tightly that he left an imprint. Seven world leaders met Friday and Saturday in Charlevoix, Quebec, for what is known as the G7 summit. As Business Insider’s Michelle Mark reported, the summit ended in disarray: Late Saturday, US President Donald Trump tweeted that the US would not endorse the joint statement from the summit. Trump accused Canadian Prime Minister Justin Trudeau of making “false statements” and said the US was looking into automobile tariffs. 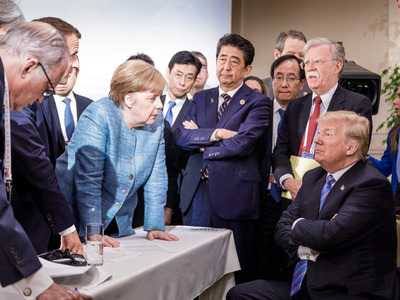 Mere hours earlier, Trudeau had announced that all G7 countries had signed the joint communique. On Friday, attendees posed for the traditional “family photo,” this time featuring British Prime Minister Theresa May, German Chancellor Angela Merkel, Trump, Canadian Prime Minister Justin Trudeau, French President Emmanuel Macron, Japanese Prime Minister Shinzo Abe, and Italian Prime Minister Giuseppe Conte. Trump spoke privately with Merkel after the family photo. The two haven’t always seen eye-to-eye in the past. Trump spoke with Macron one-on-one, and neither looked especially happy. 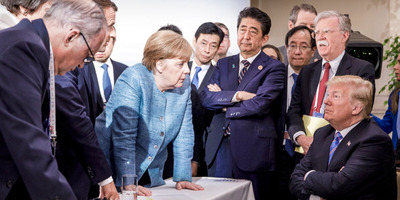 On Saturday, Merkel spoke with Trump alongside May, Macron, and Abe. This photo said it all. 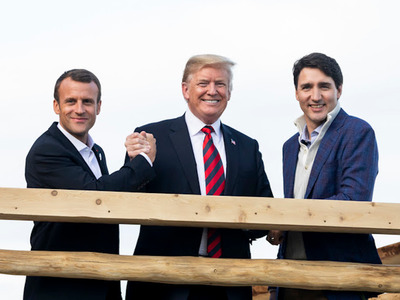 Trump also posed for some photos with Macron and Trudeau, showing the three leaders getting along. But given what we now know about Trump’s refusal to sign the joint communique, the smiles were only temporary.